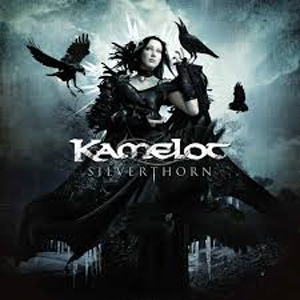 Symphonic metallers KAMELOT recently completed work on the third video from their critically acclaimed 2012 SPV/Steamhammer release, Silverthorn. The video for the song entitled "Falling Like The Fahrenheit" can be seen HERE. The video was directed by Ville Lipiainen (NIGHTWISH, HIM, APOCALYPTICA) and filmed at the bands sold out appearance at the famed 013 Venue in Tilburg, Holland. The band is currently in the studio working on the follow-up to Silverthorn. A massive World Tour will follow starting in early 2015. The latest album Silverthorn is available in four exclusive formats. The LP and limited edition has one version of the art, while the standard version of Silverthorn has a different but equally exquisite version of the artwork. The standard version is presented as an Ecolbook. The limited edition contains the Ecolbook, a bonus CD with nearly 60 minutes of music, a 44 page book and an exclusive poster. The double LP version is a gatefold on colored vinyl. The digital version is available on iTunes. KAMELOT have held their own, very special position in the world of rock and heavy music: their elaborate melodic metal has always opened itself in a remarkably clever way to like-minded styles, integrating progressive elements as well as cross-references to doom/gothic metal and classical music, which have allowed their songs to define their own genre. Two of their most successful releases in particular, namely the albums Karma (2001) and The Black Halo (2005), are prime examples of KAMELOT's multi-layered approach, intensity and outstanding musicality. Silverthorn, sees the band raise this demanding standard even higher, because Silverthorn is a masterpiece of grand gestures, gritty melodies and haunting atmospheres.